The retina is the "film" of the eye that sits inside against the back wall, much like film in a camera. It is a light-sensitive tissue that takes dynamic pictures of what you see and transmits them to the brain through the optic nerve. When the retina is detached, it is lifted or pulled from its normal position and separates from the back of the eye. If not properly reattached, the retina will die and complete, permanent vision loss occurs. Most patients initially notice new floaters or flashes of light that look like "lightning". A shadow or curtain in the vision often indicates that a retinal detachment is occurring. 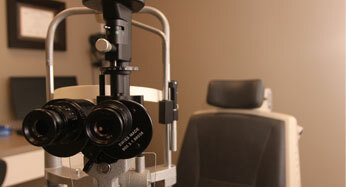 A detached retina is an eye emergency and urgent treatment is usually required to preserve vision. Although a detached retina can happen to anyone, those with high myopia, a posterior vitreous detachment (PVD), or trauma are at increased risk. Rhegmatogenous - Most common type. This occurs when the retina develops a tear or hole and begins to separate from the back of the eye. Without urgent treatment, these will often lead to blindness. Exudative - Caused by leakage of fluid under the retina from an abnormal blood vessel, inflammatory lesion, hypertension, or even a tumor. Small tears and holes can be sealed with a laser or freezing treatment to "spot-weld" them closed. 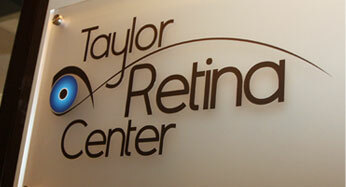 If a retinal detachment occurs, surgery is required for repair. Some combination of a Scleral Buckle, Vitrectomy, or Gas bubble are used to put the retina back in place and seal it down. A scleral buckle, which is a tiny silicone band, is attached to the outside of the eye to gently push the eye's wall against the detached retina. A vitrectomy involves the surgeon making tiny holes in the white part of the eye in order to allow needle-like instruments inside the eye. The vitreous jelly is removed and the retina is flattened against the back eye wall and lasered in place. A temporary gas bubble helps the eye heal from surgery before dissolving on its own. 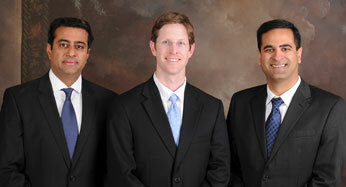 Some patients may need more than one procedure to fix a retinal detachment. The retina is the thin layer of light-sensitive tissue lining the back of the eye. A detached retina seriously interferes with normal vision and will almost always cause blindness if left untreated.